Gives a warmer light glow when dimmed, similar to an incandescent lamp. 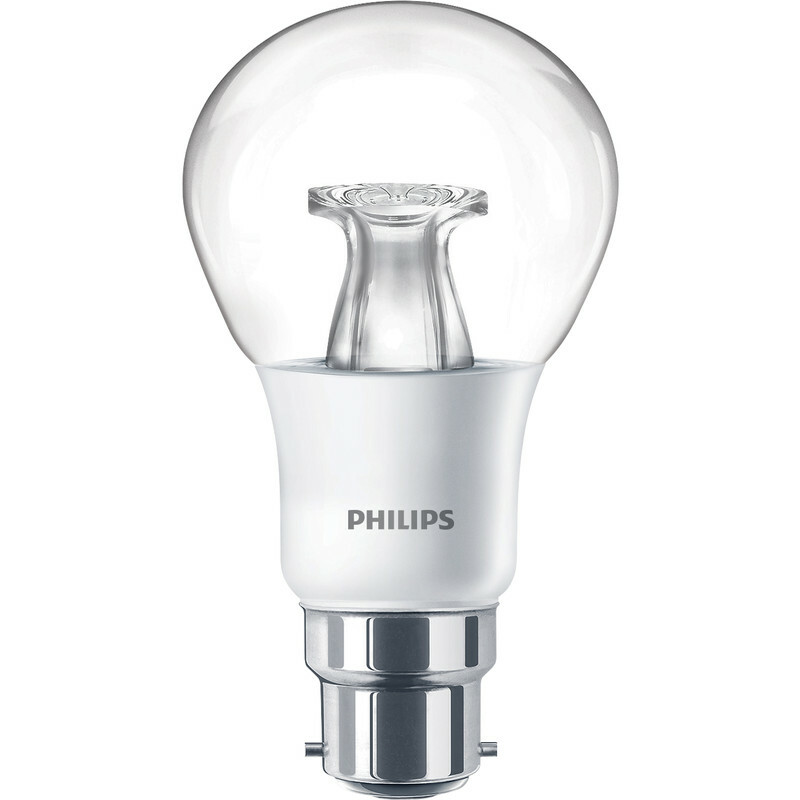 Philips LED Warm Glow Dimmable A Shape Lamp 6W BC (B22d) 470lm is rated 4.6 out of 5 by 5. Rated 5 out of 5 by Mr Xerox from Great bulbs Bought these to go in new light fittings . great job, good amount of light and small running cost. Rated 3 out of 5 by Crimsonf from Average for the price Purchased for the “warm glow” feature as I wanted to work these on a dimmer in the dining room. Disappointed with the warm glow claims as when dimmed they appear just like any other leds I have used. Other than that the bulbs look nice and the inner element is a nice shape which reflects the light in a cool way when the bulbs are on. These bulbs worked without any buzzing whatsoever with our traditional dimmer switch but I ended up purchasing the Varilight V-Pro LED dimmer switch as the standard dimmer was unable to dim the bulbs to a low enough level. The led dimmer switch works much better. Light output is presently bright and the colour is a warm white without being too yellow. Overall ok bulbs but expected more for the price. Rated 5 out of 5 by Fidder from Very bright and dims smoothly. Perfect. Easily as bright as a 60W filament lamp. Dims perfectly smoothly with a standard dimmer and the only bulb on the circuit. (Other dimmable lamps that I've used need a special dimmer and then only work with a minimum load.) Also, and this a feature I didn't need, but nice, it changes to a reddish glow as it gets dimmer, just like a filament lamp.